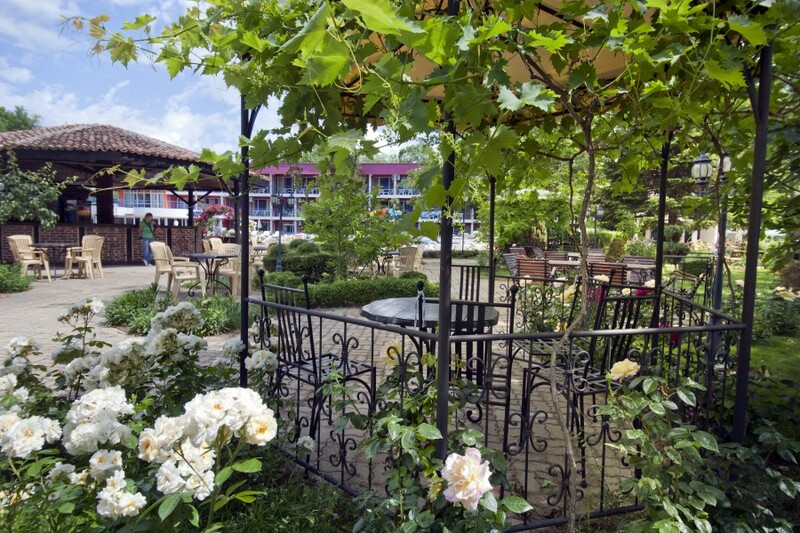 Featuring an outdoor pool, fitness centre, and spa, this 3-star hotel features air-condoned rooms with a balcony overlooking the rose garden. 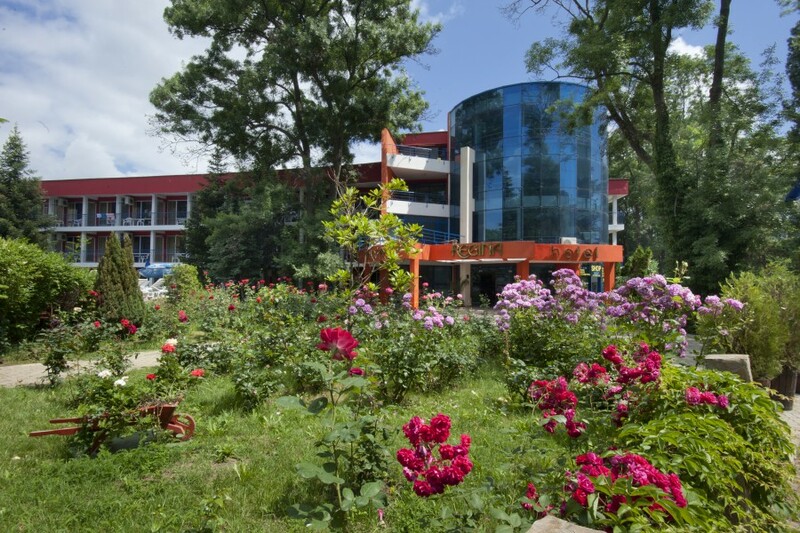 It is 200 metres from the centre of Sunny Beach and 50 metres from the promenade. Each spacious room at Regina Hotel comes with a separate seating area and a minibar. A well-equipped kitchen is in the apartment. Your dream holiday in the real heart of Sunny Beach! 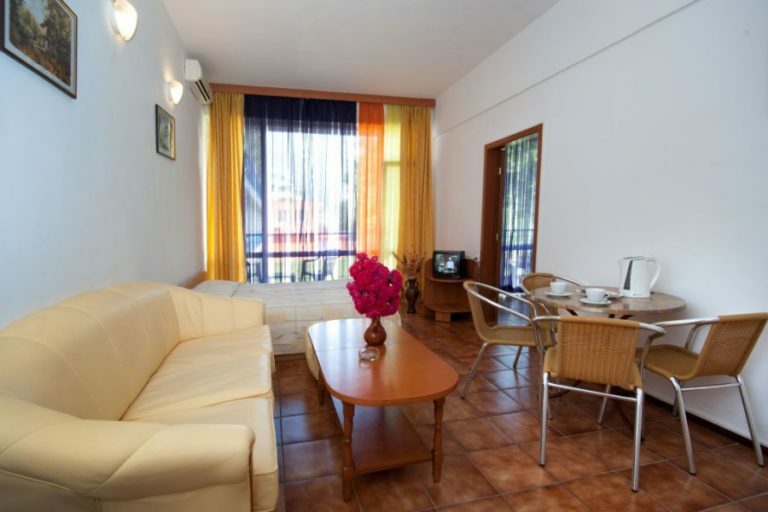 For Hotel REGINA's guests there are 3 suites avaialble. A well-equipped kitchen is in the suite. 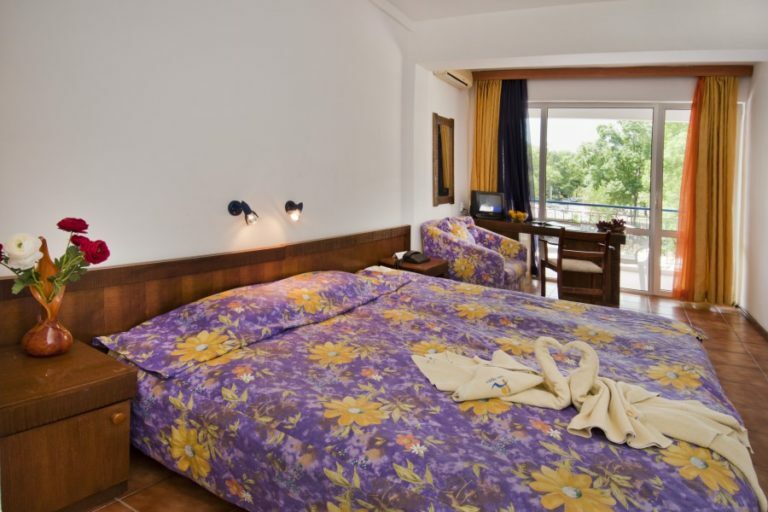 For Hotel REGINA's guests there are 100 double / twin rooms avaialble. Each spacious room at Regina Hotel comes with a separate seating area and a minibar. The location of the hotel is very close to the breach. 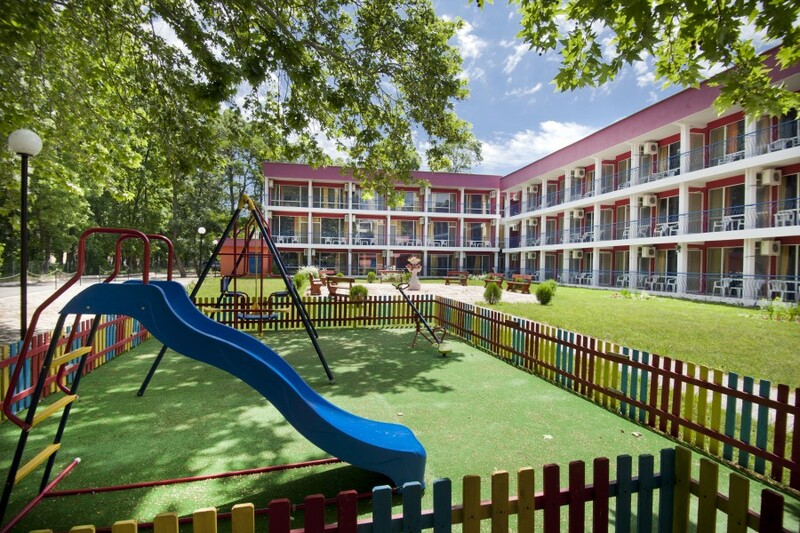 The hotel is family friendly, the rooms are big and the beds comfortable. The pool is big and clean. The food is basic but tasty, the breakfast is diversified. Хотелът предлага добри условия за отдих и предразполага към приятно пребиваване. Басейнът се поддържа много добре, а розовата градина е много красива. International Folklore Festival is organized by the Municipality of Burgas entitled: "To preserve legacies of our ancestors and give their children!" Started as a Balkan folk songs and dances for a short time, the festival becomes a significant international event for connoisseurs of folklore. In the biography of the International Folklore Festival entered the names of 440 folk composition with over 18 thousand participants. Traditionally, at the opening of the festival is given the award for folk dance and vocal works "Nestinarka, established by the Municipality of Burgas. Award statuette represents "Nestinarka - the work of sculptor Nencho Rusev and diploma. Since 1978 the festival was a member of the International Council of the organizers of the folk festivals (TSIOFF) and 2001 International Festivals & Event Association Europe (IFEA). National Song "Bourgas and the Sea" has been organized for the first time in 1973 as "Songs of Burgas, sea and its working people" from the band in summer theater Bourgas city. After 13 editions, he briefly ceased to exist. 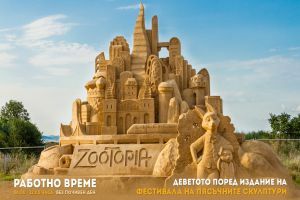 Is restored by a group of "Hot Sand" in 1996 with the name "Bourgas and the Sea" and then held each year. It is inherited the tradition of "Songs for Burgas, sea and its working people, given e start of many English composers, authors and performers of texts created e emblematic Bulgarian entertaining songs. 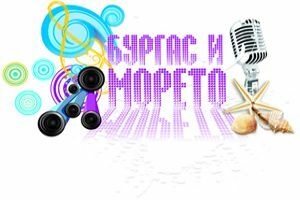 In its present form the competition creates and distributes English songs, develop the creative potential in the field of musical art, supports composers, poets, performers and develop the Bulgarian musical culture. The event is held each year during the first week of August under the patronage of Mayor of the Municipality of Burgas. British electronic music group The Prodigy will be the headliners at this year's edition of the Summer Chaos festival, which will take place at the Lazur stadium in the Bulgarian city of Burgas on August 13. The concert is part of the group's tour in support of their latest album “The Day Is My Enemy” which was released last year. 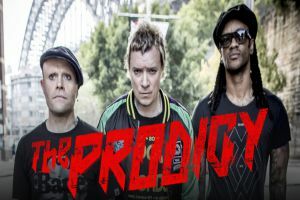 This will be the fourth visit of The Prodigy to Bulgaria and their third concert in Burgas. The Summer Chaos festival dates back to the 1990s, but this will be its second edition featuring big international names.